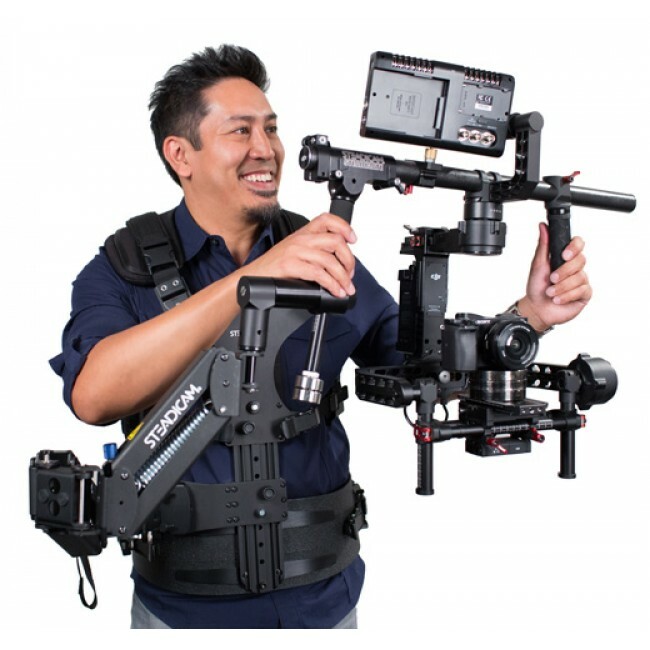 The Steadimate is the link between motorized gimbals except Maxima MX30 and the traditional Steadicam Arm and Vest to isolate the human steps. Requires an Arm & Vest for operation. 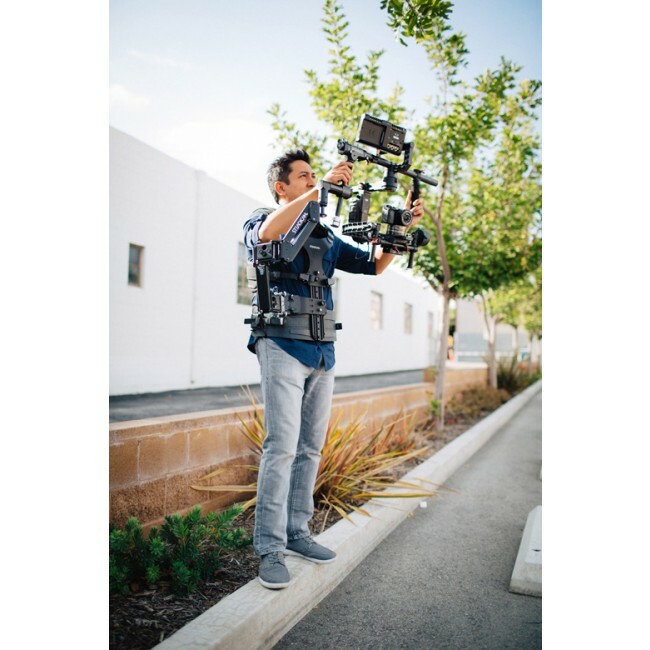 Motorized gimbals like Maxima MX30, Mövi or Ronin Dji have uncanny roll stability and anyone can pick one up and instantly move it around. But of course the stabilizer mechanism plus camera, lens, battery, etc. must be held out in front and moved through space by your heavily loaded arms often for minute after minute and the increasing fatigue can make your work look jerky and irregular as you pass foreground objects. and traveling moves are Steadicam smooth. (all others make the rig extremely bottom heavy and tough to tilt). 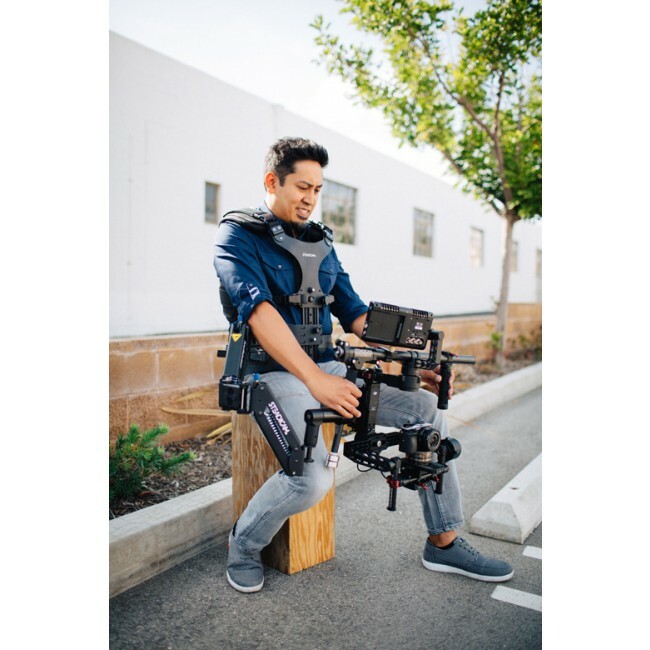 If you’re operating solo, in what Movi calls ‘Majestic’ mode—without a second person controlling camera angle by joystick or wheels—the mushy operating initiated by the support handles can now be significantly improved. 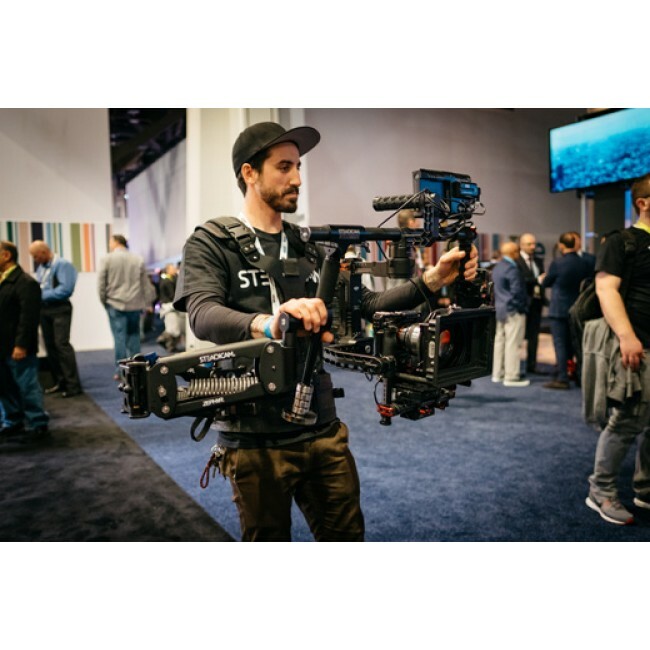 With Steadimate, you can tighten the tuning parameters so your pans and tilts are more instantaneous and precise, like the dynamic and responsive operation that Steadicam is known for.